As part of building a link between theoretical knowledge and lived experience, Avondale College of Higher Education in Cooranbong, New South Wales, Australia, has conducted study tours for more than two decades in a variety of disciplines. One of these, the Bible Lands Study Tour, a biennial event over many years, specifically aims to connect the religious information and spiritual experiences of students attending a church tertiary institution. A qualitative study was designed to validate the extensive anecdotal evidence for the special learning value of the 2013 Bible Lands Study Tour and to identify the factors that best contributed to the students’ learning. The 2013 Bible Lands Study Tour provided fresh perspective on a discipline that, by its nature, is frequently interpreted for students rather than by students. This is especially important for Australian students, whose experience of the past in situ or on location relates only to relatively recent Australian sites with limited global significance. Hence, their concept of the past is largely filtered through processing information from textbooks. They know about the Bible, but they have more information than experience. The 2013 Bible Lands Study Tour provided students with a wholistic, life-altering integration of the world around them, themselves, and their place in the world. Because these positive memories are associated with organized religion, they greatly help in reinforcing the role of the church in young adult faith development. The five-week Bible Lands Study Tour encompassed sites of biblical interest in Italy, Greece, Turkey, Israel, Jordan, and Egypt in June and July of 2013. A number of nearby non-biblical sites were also included to provide broader cultural enrichment. Unfortunately, the outbreak of civil unrest in Egypt with the overthrow of the Morsi government prevented the group from completing the Egyptian stage of the tour. *This portion of the tour was cancelled. to give students a “taste” of various biblical countries in order to inspire them to return to further their experience. The structured learning scenarios began with 16 lectures on biblical archaeology, chronology, examining ancient manuscripts, and understanding the ancient Mediterranean cultures. It also included specific material tied to each archaeological site included in the visit. These lectures also included briefings on expectations for behavior and dress standards (with particular instruction about how to dress in Muslim countries), and managing health and well-being during a Mediterranean summer. Presentations and lectures continued on location throughout the tour. Assessment tasks included pre-tour reading reports and worksheets, and a tour diary to be filled out daily, with a template of suggested content, which included prompts on the range and nature of their learning experiences and requests for them to reflect on their value. The assignment of a post-tour expository essay of 2,000 words asked students to apply their tour experiences to their understanding of the reliability of the Bible. Forty students and six staff members participated in the 2013 Bible Lands Tour. The students were from the following courses of study: theology: 17; education: 17; arts: 2; business: 2; outdoor recreation and leisure studies: 2. The researchers gathered data from students’ daily reflective diaries, the essay, the pre- and post-tour questionnaires, and from lecturer observations made during the tour. The post-tour questionnaire asked a series of qualitative questions similar to the pre-tour questionnaire and the tour diary template. It also asked for ratings of each site visited, using a five-point scale. While the data are too extensive to provide in a single article, some highlights will be presented. It was evident that this tour had a significant impact on participants, not only academically, but also in areas of spiritual development and engagement, professional development, personal growth, social development and to some degree, cultural awareness. Students emerged from the tour with a heightened understanding of biblical history, culture, and archaeology. One student’s tour diary entry was titled: “Mars Hill: Today I Felt Closer to Christianity Than I Have in Years.” The entry was one of several that also noted the impact of reading the Bible on location: “It really does bring it home and consolidate our understanding. It also makes it very real―not just a book” (S20 Diary). 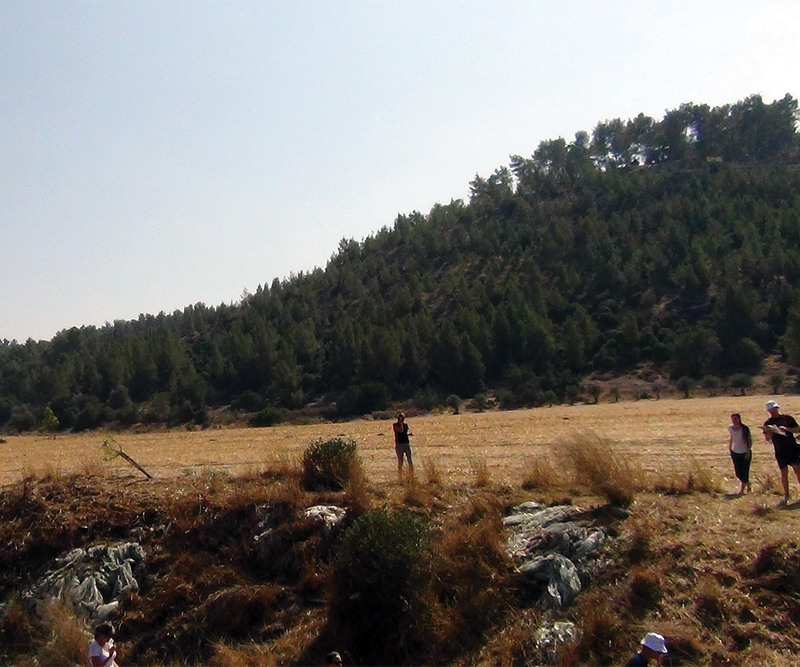 Many students commented that being on the tour gave them a real sense of perspective on biblical events. The words visualise and alive were frequently used to express the relationship to familiar Bible stories, noting how seeing the actual locations transformed stories that had seemed like “fairy tale . . . movie locations” into “real, historical” accounts with “purpose and meaning.” One student expressed having had “preconceived ideas” changed, and a number of students expressed a revived interest in Bible reading and a new love for archaeology, which had “come alive” for them. Security. The tour company has clear safety protocols that include travel insurance, protection of travelers’ financial information, secure and up-to-date itineraries, emergency contact information, and a tour guide who remains with the group during the entire tour—both scheduled and unscheduled times. This is important when visiting all locations, but especially areas where there are concerns about terrorist activities. Knowledge. Select a tour company that provides guides who are knowledgeable not just about the history of the location, but also about customs, food, laws, language, and daily living within the new context. Tour companies, and the guides associated with them, should be experienced in all aspects of the new environment. Safety. Tour guides should be well-trained and registered with their local government agencies that provide oversight. They should be fully licensed, insured, and trained in safety and life-saving emergency care (First Aid). Schedule. Tour guides can assist in providing insight into how best to balance the tour schedule so that participants are not worn out from visiting too many sites within a short period of time. There should be enough flexibility to allow participants to make changes to the itinerary based on their needs. Transportation. Provide multiple, yet safe, options for transportation. The company should be able to accommodate the size of the tour with appropriate forms of reliable transportation, and the insurance requirements that come with each form of transportation. Prometour, Choosing an Educational Tour Company: What to Consider: https://www.prometour.com/. Vistas in Education, 30 Tips to Choosing the Best Student Tour Company: https://www.vistasineducation.com/student-tour-company/. Students’ descriptions of their academic and intellectual growth revealed a very obvious passion for spiritual things. Their experiences fostered a “deeper relationship” with Christ. One participant wrote that “walking in the steps of Jesus brought me closer to Him.” Others expressed a sense of revival. When asked how it affected their spirituality, a number used the word intensely. One diary entry read: “this trip has really opened my eyes to my relationship with God and I wanna take it seriously now” (S5 Diary). Another wrote that the tour “allowed me to see that these events are not a mythical story that has been passed on to generations throughout the centuries and . . . millennia, but they happen in real time, in a real place and to real people. This closes a gap that I hold between myself and the characters of Scripture” (S3 Essay). “Much like the pipes that remain at the site of Laodicea, with their mineral build up, my spiritual life can often get clogged up with unimportant things, things that don’t matter and that get in the way of my relationship with God. Since visiting the site of Laodicea, I have realised that I often need to be reminded to take stock of my life, and reassess where I am placing my values, and whether they are contributing to me living my life the way that God intends for me to live my life” (S34 Essay). Yet another student commented on the stories of Jesus and Peter at Caiaphas’ palace: “Throughout these two great Bible stories, my experiences in visiting these Bible locations have greatly enhanced my understandings of what I’ve previously only read on paper. It has also brought to mind some of my own failings under similar pressures to be true to Jesus and reminded me of my need to build a daily close relationship with Him through the infilling of the Holy Spirit and not to just ‘call’ myself a follower of Him” (S29 Essay). “When I talk about the Bible now I light up and get passionate like never before because I know how true and how real it is. I never doubted the existence of the places in the Bible but that’s all they were―far-off places. But now―now they are real. Now they are relevant. Now they are close. Now they are geographically true. I am a very visual person so experiencing the Bible firsthand has helped me grow spiritually in ways I never would have been able to if I had not had this experience” (S7 Essay). One final comment demonstrates the way in which the experiences added significance to the students’ Adventist faith. “Awesome Sabbath in Galilee, just loved it, it created a different mindset to the Sabbath, and I would really like to get mine and my family’s head around what I have learnt” (S5 Diary). Others noted links between the tour, their chosen profession, and their personal spirituality. One wrote, “As a future Teacher who will be teaching History, not only are my beliefs important but also the history behind the Bible is of the most importance, especially if you are teaching students about the Bible in a historical context” (S22 Essay). Another reported: “Visiting these sites has forever changed the way that I not only see the Bible, but also how I explain my faith to others. For me, it is so important to be able to explain to people the history of the Bible. For those who do not have much knowledge of the Bible, unfortunately that there is so much history surrounded around the places that Jesus was born, lived, worked, died, and was resurrected. The holy lands of the Bible have forever changed me not only as a future Teacher but also as a person on a religious journey” (S12 Essay). The descriptions of the emotional impact of the tour highlighted the integrated nature of the learning experiences, tying in with the intellectual, spiritual, and professional outcomes. Diary entries were replete with expressions of wonder, with awesome, speechless, moving, and amazing being commonplace adjectives. One student’s diary entry described a day as having “blown my mind!” (S7 Diary). Other students also experienced incidents of powerful emotional engagement; one student described being “moved to tears” when the group gathered outside Caiaphas’ house and spontaneously sang Calvary-related songs (S6 Diary). Another student wrote: “I realised when talking to [my spouse] on Skype this morning just how much this trip means to me. As I was telling her about the Valley of Elah and the footsteps of Jesus a wave of emotion flooded over me. I was surprised” (S13 Diary). 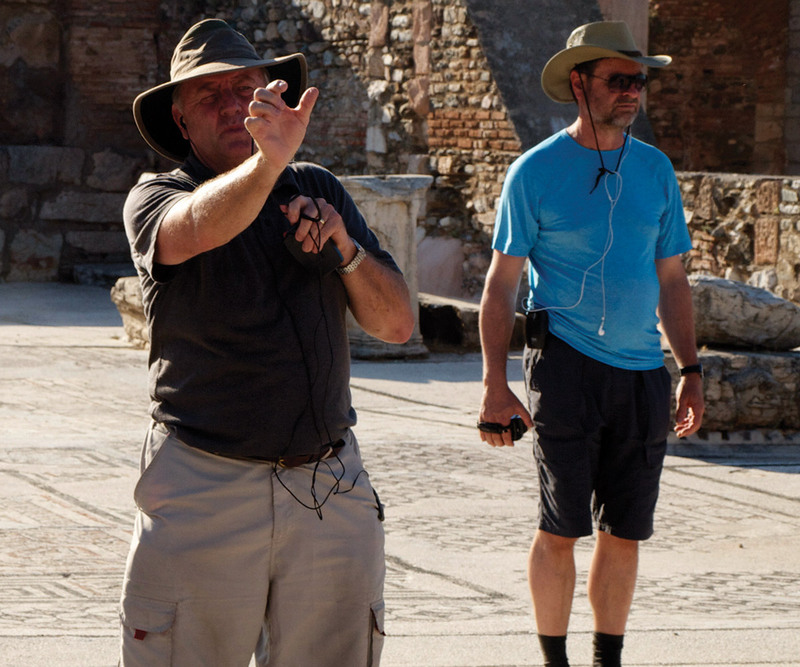 Tour leader Dr. Wayne French (left) explains the significance of the syna-gogue in Sardis, Turkey. Students noted many instances of growth in their personal and social development as well as in their cultural awareness. Living in such close proximity on what was a grueling tour schedule tested students’ capacity to manage their emotions and tolerate those of others. A number of students spoke of improving their ability to deal with others―”[I am] more patient and analytical with people,” wrote one student. “Enjoying the relationships formed on the tour: very important to overall experience” wrote another student in a diary entry (S5 Diary). One student observed that the trip “made me reassess my life and childhood”―an altogether unexpected learning outcome for both the student and the organizers! Cultural observations cropped up repeatedly, both in the questionnaire and the diaries. Some noted that they were now “better at cross-cultural bonding and understanding,” while a frequent observation was a desire for more time and autonomy in key locations to enable them to better engage with the local culture. In particular, time in a Jewish Sabbath setting was repeatedly requested. However, not all cultural experiences proved positive, as a number of students struggled with various cultural aspects such as expensive, ornate churches in obviously poor cultures, the worship habits of Christians of other faiths, and issues such as the treatment of women in Middle Eastern cultures and the claustrophobic persistence of aggressive sales solicitations. Even simple issues like dealing with the heat and thirst caught students by surprise, despite their familiarity with hot climates in Australia and the repeated advice of the staff both before and during the tour. This highlighted the critical importance of thorough pre-tour training relating to all aspects of the tour, particularly cultural differences, to maximize empathetic engagement with the local culture, rather than offense and repulsion, as exemplified by a diary entry at the Church of the Holy Sepulchre: “The Holy Sepulchre made me angry. They were worshipping a rock. Jesus rose, people” (S17 Diary). The comment both affirmed the Resurrection and misunderstood what other Christian worshippers were doing. Adding to the crowded itinerary were additional interesting sites not connected to the Bible. While some of these held immediate relevance for Australian students (particularly the visit to Gallipoli, site of Australia’s legendary battle in the First World War), others were opportunistic, as the group was nearby (such as Troy, Cappadocia, and even Venice and Florence when traveling through Italy). The intention was to give students a taste to tempt them to plan further travels later on. It was successful in some cases, but many regretted the extra unrelated travel, and expressed a wish to invest that time in Bible-related sites and in having time out from the intensity of the tour. “The tour didn’t really take on significance for me until we reached Turkey and began visiting the seven churches of Revelation, although even here I think there are a number that could easily be dispensed with to save time,” wrote one student, expressing the sentiment of a number of participants (S15, Letter to tour organizers). Another wrote, “it seems as though we don’t spend enough time at the places we enjoy more” (S5 Diary). Another source of frustration for some students, as well as the accompanying staff, was the uneven commitment across the group to the tour goals. A minority treated the trip as a holiday rather than a learning experience, detracting from the enjoyment of the rest of the group. They could generally be identified by their lack of engagement with the pre-tour academic work. Ensuring that no student was merely taking a “junket tour” would have improved the quality of the experience for all participants. One student described the tour as an “immersion of the senses” (S1 Diary). Many students appreciated the knowledgeability and helpfulness of the local guides; at the same time, the information they shared was often excessive and unconnected to the students’ knowledge or experience. “An overload of information,” noted one student (S10 Diary), a sentiment widely echoed in diaries and questionnaires. It highlighted the need to brief tour guides thoroughly to ensure carefully targeted on-site information that connected prior learning to the specific experience (see Boxes 1 and 2). Get referrals. A good way to identify individuals to serve as tour guides is to ask for recommendations from friends or colleagues who have traveled to the area. These individuals may be able to provide the names and contact information of tour guides who provided good service. Travel Websites such as Rent-a-Guide (http://www.rent-a-guide.com/); Viator (https://tourguides.viator.com/); or TripAdvisor (https://www.tripadvisor.com/) can connect you with individuals screened and recommended by fellow travelers. Check references and testimonials. Ask the tour guide for references and check them. Ask for testimonials—these may be on a personal or travel Website since many independent tour guides contract with travel companies as a way to gain more exposure and clients. Verify certification and licensure. Many countries require independent tour guides to be licensed and to register with the Ministry of Tourism or tourism board. This registration may also include certification and training in First Aid, CPR, and the use of AEDs (automated external defibrillators) where available. Conduct interviews. If traveling to a location where the language used to communicate is different from the one spoken by members of the tour, consider arranging a telephone or video chat interview with the prospective tour guide to observe communication and language proficiency in both languages. Get it in writing. Tour guides should confirm the itinerary, their availability, pricing, and travel arrangements (what type of vehicle will be used, who will pay for transportation, lodging, and accommodation of the guide, how payments will be made, etc.) ahead of time. A written contract or agreement is most appropriate and will help ensure that both parties have the same expectations. “Tour Guide Characteristics—What Tour Operators Should Look for When Hiring”: https://www.rezdy.com/blog/tour-guide-characteristics-every-tour-operator-should-look-for/. The highlights of the learning experiences were the actual encounters with the past and the way that these encounters intersected with the students’ knowledge and experience. While local tour guides were a fount of information, the best person to connect knowledge and experience on this tour was the tour organizer, as many diaries noted: “[Lecturer was] . . . such an inspirational speaker, what he said today was SO GOOD,” wrote one student with enthusiasm (S5 Diary). Another student recorded, “Who cares about information. I can Google that any time I want. All I care about is the experience” (S2 Diary). Still another student wrote, “Listening to [lecturer] explain Scripture in context left me with a profound God moment in an otherwise trying trip” (S24 Diary). Perhaps the most striking feature of the diaries was the mixture of amazement, delight, and exhaustion. Typical of these was this comment while in Jerusalem: “The first half of the day was simply profoundly spiritual highlights to me. . . . Second half however dragged on a bit and kind of dampened the day a bit. Could have done without it and perhaps spread out the first half” (S10 Diary). However, while the list of negative features may seem numerous, the overwhelming impact of the tour was resoundingly positive. Its effectiveness was unquestionable. 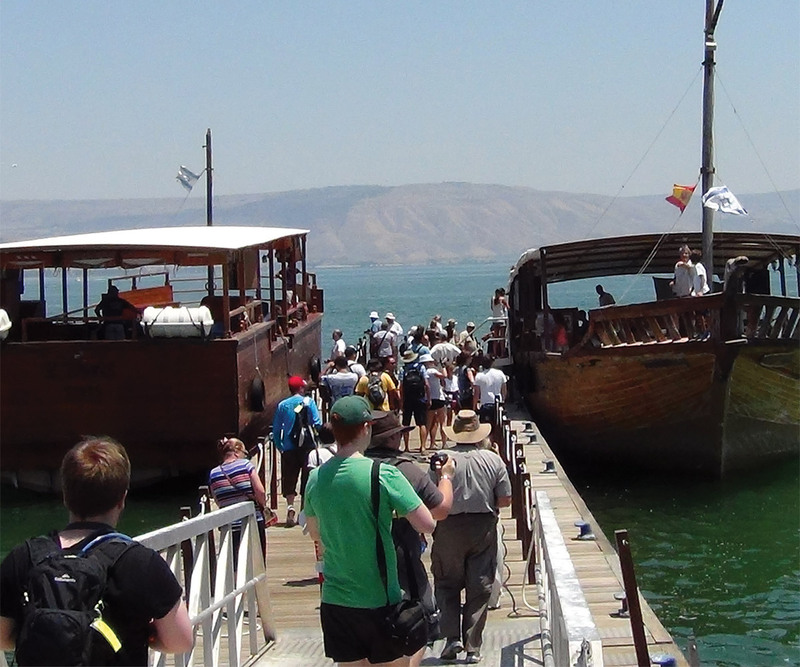 Of a day spent in Galilee, a student wrote: “Today is a day I will never forget. Being in the place of so much of Jesus’ ministry made the Bible really live for me. Never the same again!” (S13 Diary). Remember that there is generally a strong correlation between pre-tour preparation and student ratings of the value of the sites. Places such as Troy, Renaissance Rome, Florence, and Venice, intended as bonus travel teasers, received no pre-tour coverage and were among the lowest-rated sites. A number of students questioned the value of such sites, while others found them interesting and motivating. On the other hand, sites covered in classes such as Jerusalem, Capernaum, ancient Rome, and Ephesus received consistently high ratings. Address academic, social, and cultural matters thoroughly in pre-tour preparation, supplemented by on-site applications. It is particularly critical to address the cultural challenges and gaps that students will encounter in meeting vastly different social and religious practices. Gaps in students’ awareness of academic, social, and cultural matters correlated with levels of dissatisfaction with, or misinterpretation of, specific sites. Enforce academic rigor, as it improves student engagement and enhances the benefits of the tour. There was a correlation between commitment to pre-tour assessment tasks and engagement with on-location activities. Create opportunities for students to participate in setting appropriate behavior boundaries before the tour, which will help to reduce on-tour stresses. Consider the relevance of each site to the purpose of the tour. While non-biblical sites had their admirers, the student ranking of sites indicated that the most effective sites were almost all directly biblical, and clustered around Jerusalem, Galilee, and Jordan, along with selected sites in Turkey, Italy, and Greece. Students gave high ratings to only two non-biblical activities: the extraordinary ballooning experience in the unique landscape of Cappadocia, and the visit to Gallipoli, whose centrality to Australian history and culture needed no other justification. Achieve a balance between being representative and being exhaustive. Select maximum-impact sites. Often, lesser sites merely become another pile of ruins or yet another ornate Byzantine church. Two examples of poorly rated yet relevant sites included Bergama and the Valley of Elah―both of which felt like one stop too many for the majority of students. Minimize the number of different overnight accommodations by selecting a central location from which the group can travel to multiple sites.10 Moving from one hotel to another is one of the most fatiguing aspects of a tour. Ensure that on-site information connects directly to pre-tour information. In many cases, the person best-equipped to do this is the tour coordinator, rather than a hired local guide, whose generic presentation can miss the specific needs of the group. Experiential learning is a powerful teaching tool because the students are fully immersed in the subject they are studying. This sensory experience involves every part of the student’s being, ensuring that the learning experience has a powerful impact. The feedback data from the Bible Lands tour for 2013 revealed an overwhelmingly positive impact on students’ spiritual growth as the result of experiencing many of the locations that they had only heard about earlier in their spiritual journey. Visiting actual locations they had only read or studied about before helped them to visualize the stories in their real geographic locations. It also provided participants with new insights into specific scriptural references and helped them make stronger spiritual connections to the Bible text. In general, although the tour was physically exhausting, prompting reflection on managing the intensity of tours (which becomes more important the longer they are), the spiritual insights gained and the overall positive impact of the learning experiences made it clear that this type of tour can be a very successful and effective way to educate students in the future. The tour studied for this article took place several years ago. While a longitudinal study has not yet been formally conducted, considerable anecdotal evidence supports the conclusion of a long-lasting impact on participants. The tour organizer, having managed multiple tours over many years, is often being told by current pastors and teachers of how beneficial the tour has been to their personal faith and their faith-sharing experiences. One former student told the authors of being inspired to travel to Israel no fewer than five times since, and to study Hebrew. Another wrote to say that she often caught herself “wishing I was back reliving the whole experience with everyone over and over.” A Bible teacher noted not only the “huge blessing” personally, but also that “there have been countless times that I have been able to share photos, stories, and artefacts from my trip during classes,” adding that her students found that these moments made their classes “more interesting and easy to remember.” A minister gave many examples of his use of tour experiences in his ministry, stating that “the Bible Lands [tour experiences] have been key in developing my ministry,” especially in making the Bible relevant to young people (e-mails to authors). “The entire trip was the best memory event I have ever experienced. I learned so much about my own faith as well as the beliefs of the SDA Church. During the tour many places stood out as memorable, but the two places that have totally changed the way I view my Bible have got to be Mount Zion in Jerusalem and the Church of the Holy Sepulchre. Despite not having total confirmation of the site of Jesus’ crucifixion and burial, being in the general proximity and seeing just how much Jesus changed the lives of millions of people thousands of years on was enough for me to realise what a great man He was/is and the gift He has given me” (S14 Essay). Daniel Reynaud, PhD, is an Associate Professor at Avondale College of Higher Education, Cooranbong, New South Wales, Australia. His doctorate is in history and cinema, and he teaches courses in history, as well as the intersection of history, film, and literature. In addition to 26 years of experience teaching at the tertiary level, Dr. Reynaud also served as Faculty Dean of Arts and Theology for four years. His areas of interest include the Australian army and religion, representations of history in film, online education, and innovative teaching such as history tours. 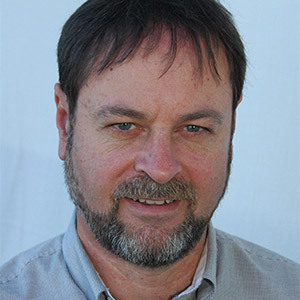 Among his extensive publications are Reading With New Eyes: Exploring Scripture Through Literary Genre (2000), “Have Passport, Will Learn: History Study Tours and Student Learning and Development” in Research and Development in Higher Education: Reshaping Higher Education (2011, Co-author Maria Northcote); and “Understanding History: Seventh-day Adventists and Their Perspectives,” in TEACH Journal of Christian Education (2016). Wayne French, DMin, has served as Chaplain for Avondale College of Higher Education for the past 12 years. He graduated from Avondale College in 1976 with a bachelor’s degree in theology, followed by Master’s and doctoral degrees in youth ministry. He has been in ministry for the Seventh-day Adventist Church for the past 40 years. 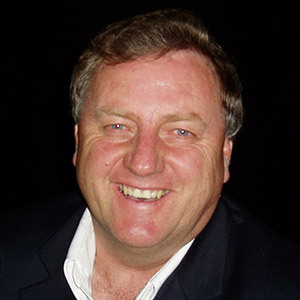 He spent 14 years as a local church pastor and 14 years as Youth Director for the North New South Wales Conference. In addition to his pastoral and teaching ministry, Dr. French has written Creating Memories for Teens about the importance of experiential learning. During his time at Avondale College, he has lectured on mentoring and on Youth Ministry, and has taught one of the core subjects in the Master’s program. Daniel Reynaud and Wayne French, “Faith Education and Touring the Bible Lands: A Case Study,” The Journal of Adventist Education 79:4 (July-September 2017): 8-15. Available from https://jae.adventist.org/en/2017.4.3. Parker J. Palmer, To Know As We Are Known: Education as a Spiritual Journey (San Francisco, Calif.: 1993); John Dettoni, Introduction to Youth Ministry (Grand Rapids, Mich.: Zondervan Publishing House, 1993), 106, 107; V. Bailey Gillespie, The Experience of Faith (Birmingham, Ala.: Religious Education Press, 1988), 16. David A. Kolb, Experiential Learning: Experience as the Source of Learning and Development (Upper Saddle River, N.J.: Prentice-Hall, 1984). David A. Kolb, Richard E. Boyatzis and Charalampos Mainemelis, “Experiential Learning Theory: Previous Research and New Directions.” In R. J. Sternberg and L. F. Zhang, eds., Perspectives on Cognitive, Learning, and Thinking Styles (Mahwah, N.J.: Lawrence Erlbaum, 2002), 227-247. Kolb Experiential Learning: Experience as the Source of Learning and Development. John Seely Brown, Allan Collins, and Paul Duguid, “Situated Cognition and the Culture of Learning,” Educational Researcher 18:1 (1989): 32-41. Wayne French, Creating Memories for Teens (Warburton, Victoria: Signs Publishing Co., 2005). The letter “S” followed by a number identifies the student and the response selected for inclusion in this article. Response items were selected from tour diaries, essays, and post-tour questionnaires and essays. Daniel Reynaud and Maria Northcote, “Have Passport, Will Learn: History Study Tours and Student Learning and Development.” In Research and Development in Higher Education: Reshaping Higher Education, K. Krause et al., eds., 34 (2011): 253-262. Most countries provide updated travel warnings and alerts as a service to their citizens and other travellers. These Websites can be useful sources of information when planning a tour. Here are two: Australian Government Department of Foreign Affairs and Trade: http://smartraveller.gov.au/countries/Pages/default.aspx; United States Department of State: https://travel.state.gov/content/passports/en/alertswarnings.html.